The Department of Research, Education, and Conservation (commonly referred to as the REC department) is our outlet for mission-focused programming. In accordance with the AZA, we believe strongly in the responsibility of zoos and aquariums not only to promote conservation but to contribute to it. Our research efforts strive to better understand the species in our care as well as the environment around us. In education, we offer opportunities to students of all ages and encourage active learning for all Safari West guests. And in conservation, Safari West continues to try and promote a sustainable and diverse planet, at home and abroad. The REC Department’s responsibilities are split between three distinct disciplines that are nonetheless closely intertwined with one another. While other facilities tend to divide these specialties into separate departments, for us it is hard to see how you can have anyone component without the other. Our integrative approach allows Safari West’s REC-reation to stay active and relevant in an ever-evolving world. With a mission of conservation through education, this component of our department is paramount. Disseminating knowledge through guest and student interactions is a top priority on property, the primary educational outlet being the safari tour. Emerging insights in the fields of wildlife biology and conservation are incorporated into our ever-evolving tour curriculum, with the intent of creating a space for discussion and discovery. Beyond our safari tours, we have several programs designed for student involvement, staff advancement, featured academic events, and classroom visits. Ultimately, our efforts culminate in conservation action. The term conservation is commonplace in our times. It embodies a drive towards protection, preservation, and, occasionally, restoration of the natural world around us. Such a multifaceted undertaking is inevitably approached in a variety of ways and at Safari West we attempt an involvement in as many conservation outlets as possible. This includes financial support to programs worldwide, advocacy and education for the future, advancing sustainability efforts in-house, and actively working towards preservation and restoration goals in our own backyard. The REC department draws resources, knowledge, and influence from across Safari West to push relentlessly towards greater impacts in conservation. These efforts include partnership building with people and organizations across the globe dedicated to the same mission. We continually work on this mission and do our best to let it be seen by our visitors. Whether you hear of the latest conservation updates on tour, attend a presentation from our conservation speaker series, purchase a product from the conservation corner in our gift shop, or simply read our signs encouraging sustainability, we strive to make your experience one that embodies the goal of all AZA facilities: protecting wildlife and wild habitat for future generations to enjoy. Research at Safari West takes multiple forms. Through our internship program, students can join the team and participate in Ethological (animal behavior) projects that help us care for the individuals in our collection. In addition to the behavioral programs, the REC department conducts lab and field work in anatomy, ecology, archaeology, and paleontology. The Safari West Wildlife Foundation is dedicated to creating wildlife advocates by inspiring people of all ages to develop a deeper appreciation for the natural environment and conservation. We accomplish this aim by pursuing humane natural research, and by sharing knowledge that will help each individual make personal choices in regards to the environment and conservation efforts. 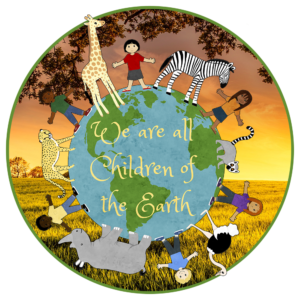 We hope that the resulting effect, particularly in regards to the children whose hearts and minds we touch, will multiply and create a conscious environment movement now and into the future. The Foundation relies on your support! Please visit the Safari West Wildlife Foundation website!